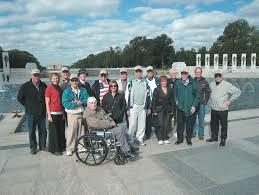 We are still accepting applications for the upcoming Honor Flight. Veterans of the all services during the World War II, Korean, and Vietnam conflicts are eligible (need not have seen shots fired in anger). For more information, please contact Dave Williamson. For an application, look for "Honor Flight 2015" under "Download Rotary Forms" on the right of our homepage.